If you are looking for help to deal with alcoholism, the doctors at EZCare Clinic are here to help you through the use of medication to treat Alcoholism. Call EZCare Clinic in San Francisco at (415) 966-0848 to see if medication for alcoholism is right for you. Schedule an in-person appointment today and receive a consultation and prescription for only $129. Chronic alcohol abuse is the foundation of alcoholism, a physical and mental disease. People who are addicted to alcohol suffer from alcoholism. This condition causes cravings and creates a strong dependency on alcohol. Chronic depression, severe anxiety, and mood swings are some of the more noticeable symptoms of alcoholism. Many adults consider alcohol a social beverage to be had at a party or that helps them relax. Regardless of the reason to drink alcohol, it affects everybody differently especially people whose family has a history of alcoholism. People who suffer from alcoholism will usually display major mood swings—from excited and happy one moment to depressed and angry the next moment. This shift in mood is usually undetectable by people with alcoholism, and it will usually cause them to consume more alcohol to mask the feeling or forget about the trauma they have caused. Research has determined that reasons for alcohol abuse range from a psychological issue to the physical sensation of alcohol consumption, and it may even be genetic. However, treating alcoholism can be accomplished through simple methods such as medications and vitamins. While some medications will cause a person to feel uneasy or nauseous when drinking alcohol after taking medication, other types of medication will help rebalance the chemicals in the brain and body. Medications are available to help a person return to living a normal life without having to depend on alcohol. After an in-person consultation, our doctors thoroughly evaluate your medical history before prescribing medications to treat alcoholism. EZCare Clinic in San Francisco may be able to help you cope with alcoholism through the use of medications. Call us at (415) 966-0848 to see if medication is right for you. Schedule an in-person appointment today and receive a consultation and prescription for only $129. Disulfiram (Antabuse) is an alcohol deterrent that helps prevent alcohol consumption. Disulfiram causes an extremely unpleasant feeling (nausea or vomiting) in people if taken when consuming alcohol. This is often prescribed in alcoholism treatment centers. How Can EZCare Clinic Help You With Alcoholism? EZCare Clinic may be able to help you overcome alcohol addiction through the use of medication to help settle the cravings and other withdrawal symptoms associated with alcoholism. Treatment at EZCare Clinic is not a rehabilitation program. At EZCare Clinic, our doctors understand how difficult it can be to overcome alcoholism and the health issues that may arise during recovery from this condition. We offer a consultation for alcoholism and a prescription for only $129. People with alcoholism are exposed to serious side effects from consuming high amounts of alcohol on a regular basis. Unfortunately, this type of condition does not happen overnight and usually develops over years of heavy drinking. 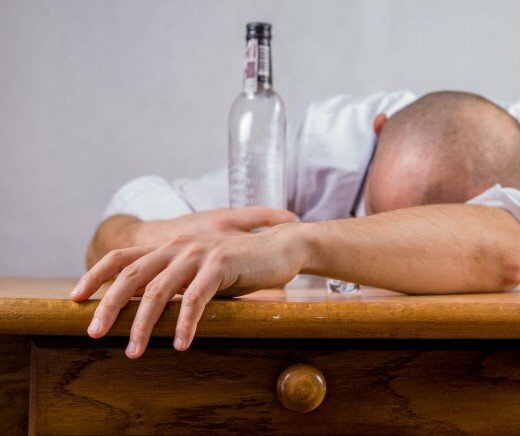 After drinking so much alcohol for years, the body adapts to having this chemical in the body, and this is what creates withdrawal symptoms. Symptoms may vary from mild to severe, but they are inevitable when a person removes this chemical from their body. Alcohol acts as a depressant for people. When consumed in abundance, this chemical has a significant impact on people’s brains and bodily functions. Once the body adapts to having a high amount of alcohol in its system regularly, it will then begin to crave alcohol, which can occur both psychologically and physically. The removal of alcohol can disrupt the chemical production in the body, and this creates withdrawal symptoms. Some alcohol withdrawal symptoms may go away after a few hours or days, but other symptoms can be severe and cause hospitalization, so it is important to understand symptoms. Although the description of symptoms may seem similar, people will deal with withdrawal symptoms differently. Where lots of water and plenty of rest may help a person recover from mild symptoms, other people may require medication or longer rest periods to overcome the symptoms. It is important to understand that medication for alcoholism is not a cure. The doctors at EZCare Clinic understand withdrawal symptoms, and we are here to help you recover from alcoholism. A consultation at our office will involve a medical evaluation and an in-depth understanding of your drinking and drug abuse history. It is also important for our doctors to understand how recently you stopped drinking and the symptoms you experience when you don’t consume alcohol. Our doctors will take the time to discuss withdrawal symptoms, why you are experiencing them, and how medication may be able to help you cope with alcoholism. By understanding alcoholism and the withdrawal symptoms related to this condition, you might be better equipped with the tools to recover and live a better life. If you believe you have alcoholism, call EZCare Clinic to schedule an appointment with our doctors at (415) 966-0848 schedule an in-person appointment.